← Yeehaw!!! Cowboy’s for Trump rode into D.C. 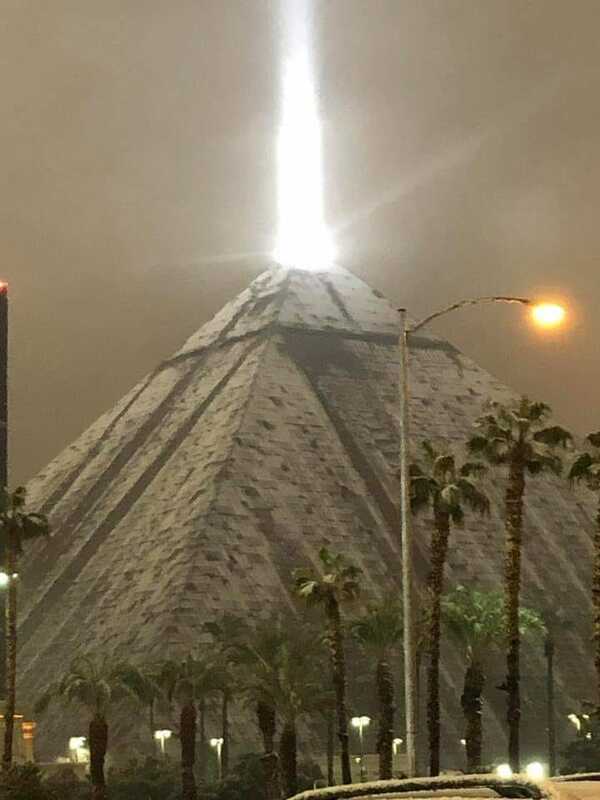 Yes, it’s snowing in Las Vegas. Again. For the second time in a week, the entertainment mecca in the greater Mojave Desert was getting snow on Wednesday night. While winter weather has battered the eastern United States for the past couple days, the National Weather Service said up to 3 inches of snow will fall in the outskirts of the Las Vegas Valley. This entry was posted in Current Events, News. Bookmark the permalink. It snows at Joshua Tree Nat. Monument every so often. We went up there when there were a few inches on the ground back in the 70’s. 😯 That was when we were being warned about global freezing. I saw a pic the other day from there with snow on the ground. It was really special to go there when the snow was on the ground.